I came up with this idea a while ago, but I don’t have the programming experience to put it together. If you’ve seen anything like this on the web somewhere else I’d love to use it. 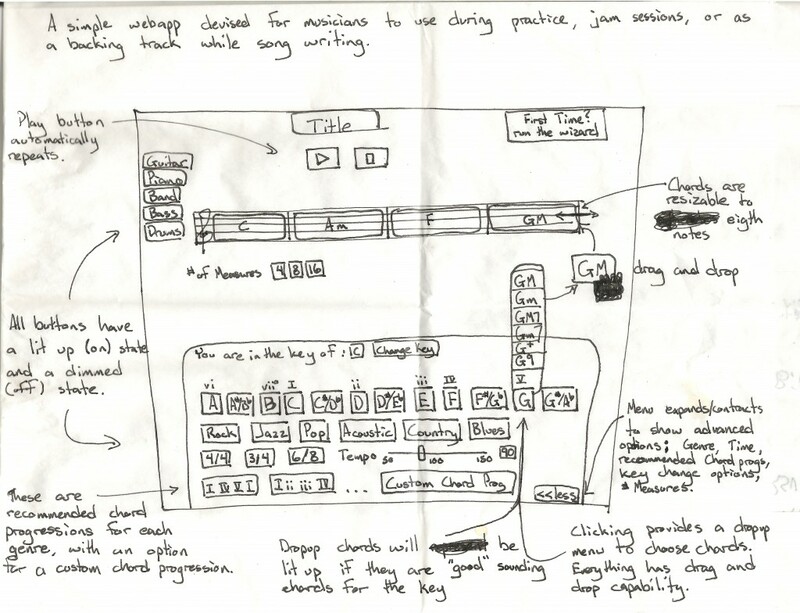 Band-in-a-Box and Guitar Pro are just too expensive/complex for songwriting I think. I get so caught up in the software that I forget about writing music.